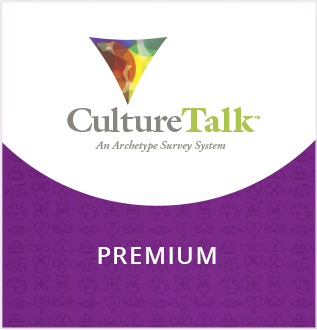 "CultureTalk was a game changer for me. It brought major insight into how I go about my life, personally and professionally. I realized that certain aspects I had always considered “good” were negatively affecting me. My Archetypes helped me pinpoint exactly where I could create change in my life." Uncover your deepest motivations, personal strengths and unconscious challenges in a way that helps you evolve your life, your relationships and your career. Purchase the survey using the button below and you’ll be redirected to the survey page. You will also receive an email that includes a link to the survey that you should save for future reference. Did you know organizations have Archetypes too? Shift culture. Evolve leaders. Hire with intention. Engage employees.